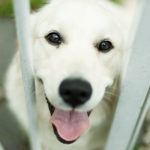 Animal shelters & rescue organizations are a great place to find the perfect dog. They have such a wide variety that you can find a dog that’s a perfect fit for your lifestyle. Their are all kinds of dogs in rescue. Looking for a dog that’s already trained? Looking for a new jogging partner? Looking for a puppy? They have all of those and more. Reach out to your local rescues & shelters; they’ll help you find your perfect match. 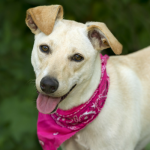 Are you looking to adopt a dog in southeast Michigan? 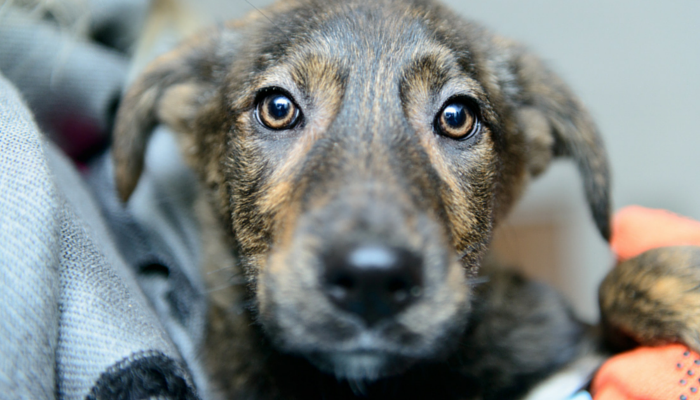 Here’s 10 great organizations dedicated to saving the lives of homeless animals in the metro Detroit region. The Livingston County Animal Shelter is located on 418 S. Highlander Way in Howell. All adopted animals will be spayed or neutered, heart worm or feline leukemia tested, micro chipped, and given age appropriate vaccinations prior to leaving the shelter. The shelter is open Monday-Saturday for adoptions. Animal shelter hours & available animals are subject to change; please check their site for the latest information. 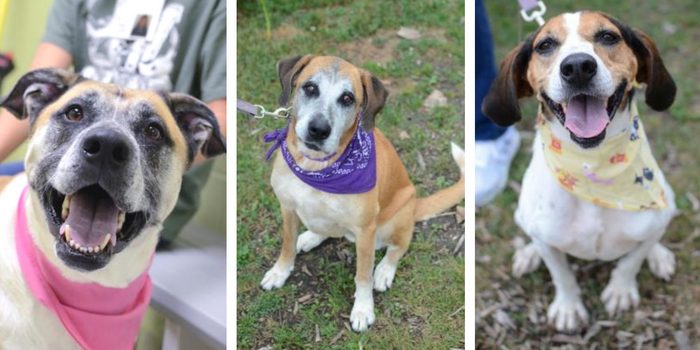 Bruiser, Tootie & Hilda are just a few of the great dogs available at the Livingston County Animal Shelter. Canine Companions Rescue Center was founded in 2004 and works with the community & animal control to promote the adoption of dogs without families. Adoption event hours & available animals are subject to change; please check their site for the latest information. Last Day Dog Rescue is a Livonia based rescue that has been saving dogs since 2007. They offer free dog training sessions in Westland to adopters to help guarantee your new canine companion is a great fit. If you’re interested in adopting check out their events page to set up a meeting with your new best friend. 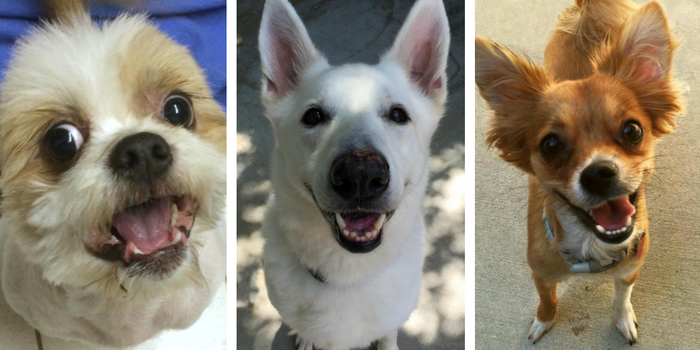 Maserati, Nellie & Mateo are just a few of the awesome dogs available at Last Day Dog Rescue. The Humane Society of Huron Valley is an Ann Arbor based animal welfare organization dedication to saving the lives of homeless animals. They do adoptions seven days a week; check out their site for hours, location & more information on how to adopt. 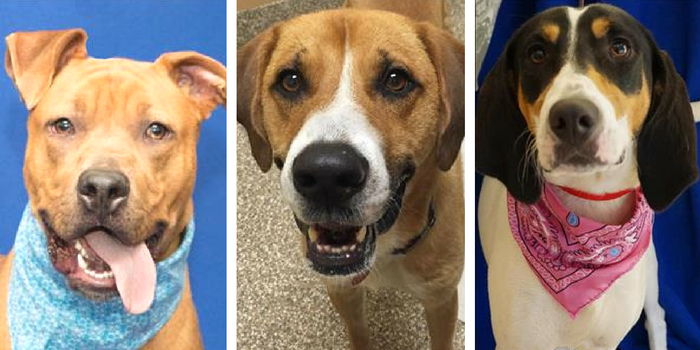 Bacon, Stella & Somerset are Just a Few of the Awesome Dogs Available at the Humane Society of Huron Valley. K9 Stray Rescue League is a non-profit rescue in Oxford that was formed in 1990 to help save the lives of homeless dogs in the metro Detroit area. 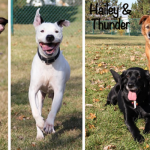 Their kennel is open Thursday-Monday, and they hold weekend adoption events in Oxford & Auburn Hills. To find out more about how to adopt your new best friend check out their site for their hours, location & upcoming events. 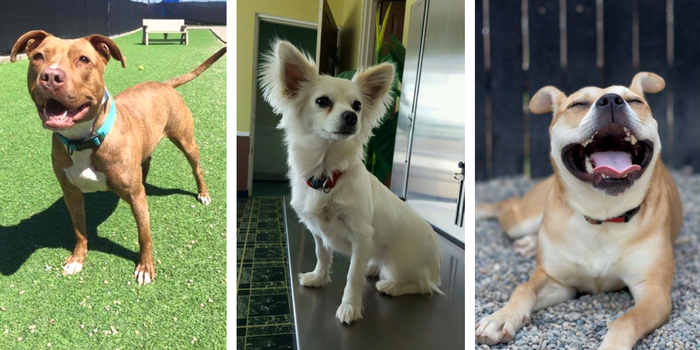 Addie, Popsy & Wiggles are Just a Few of the Adoptable Dogs Available at the K9 Stray Rescue League. The Michigan Humane Society is the oldest & largest animal welfare organization in the state. They have adoption centers in Detroit, Rochester Hills & Sterling Heights. Check out their site for a complete list of hours, locations & a list of pets currently available for adoption. 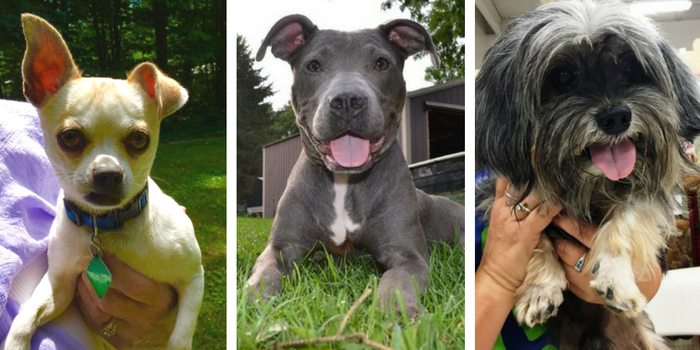 Rugby, Anderson & Astro are Just a Few of the Awesome Adoptable Dogs at the Michigan Humane Society. The Oakland County Pet Adoption Center is located in Auburn Hills and has been aiding animals by finding them new homes since 1980. They’re open Monday-Saturday for adoptions, and they hold special adoption events throughout southeast Michigan. Check out their site for a complete list of hours, events & to see which pets are currently available for adoption. 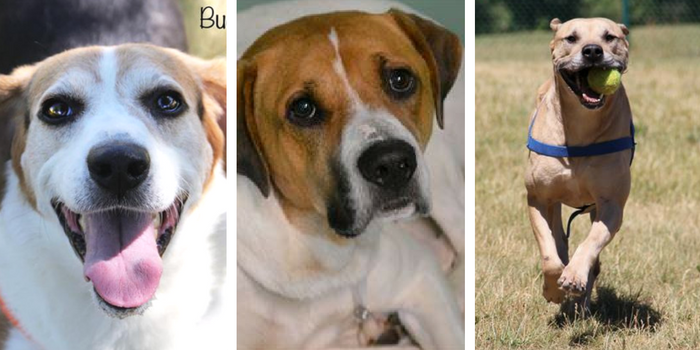 Buddy, Peter & Lumberjack are Just a Few of the Awesome Dogs Available at the Oakland County Pet Adoption Center. 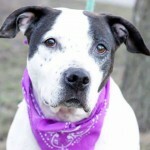 Detroit Dog Rescue was formed in 2011 to help save the lives of homeless dogs in Detroit. In 2014 they opened their own shelter and became the first & only no kill shelter within the city of Detroit. 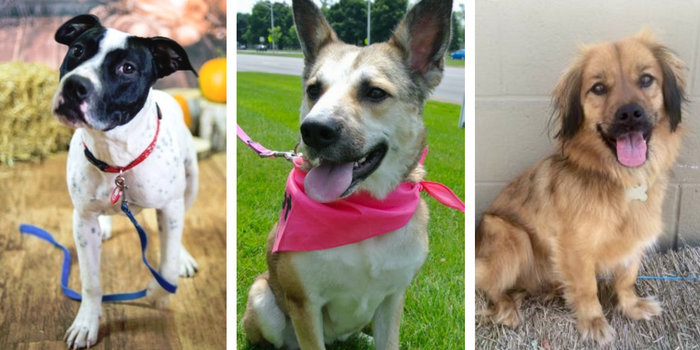 If you’re interested in adopting from Detroit Dog Rescue check out their site for their adoption application, events & a list of the dogs currently available for adoption. 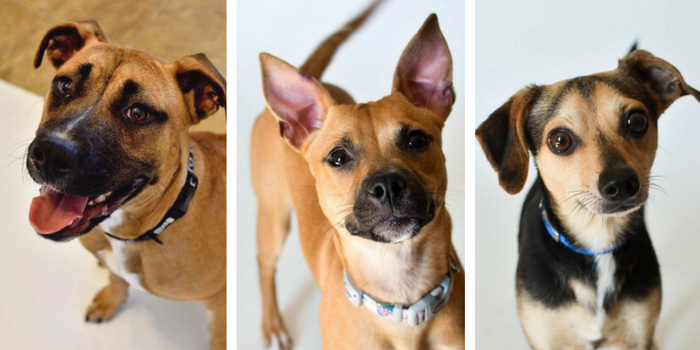 Apricot, Casey & Fiona are Just a Few of the Awesome Dogs Available for Adoption at Detroit Dog Rescue. Almost Home Animal Rescue league is located in Southfield and was founded in 2001 to help find loving homes for homeless animals. Their kennel is open Monday-Saturday and they hold a lot of adoption events throughout southeast Michigan. Check out their site for a list of their upcoming events, kennel hours & a complete list of animals available for adoption. 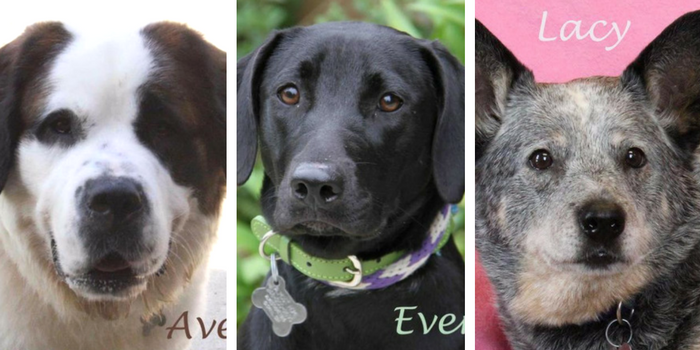 Avery, Everly & Lacy are Just a Few of the Dogs Available for Adoption at Almost Home Animal Rescue League. The Michigan Animal Rescue League is located in Pontiac and has been serving the community since 1953. They’re one of southeast Michigan’s most established animal shelters. They’re located at 790 Featherstone (1 mile west of the Silverdome) and are open Tuesday-Saturday. Please check out their site for hours, upcoming events & a complete list of animals currently up for adoption. 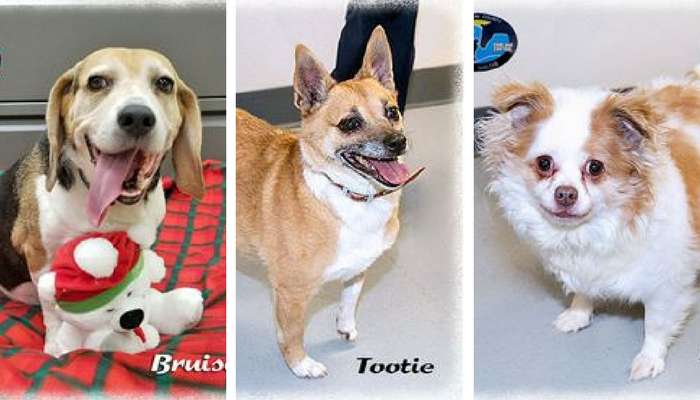 Geeter, Halo & Toto Are just a Few of the Adoptable Dogs at the Michigan Animal Rescue League. Looking For More Great Places to Adopt a Dog in Michigan?